As Broker of Record and co-owner of Richard Wallace Real Estate Limited, Brokerage, the largest independently owned real estate firm in the Muskoka Lakes, it would be my pleasure to be able to work with you. 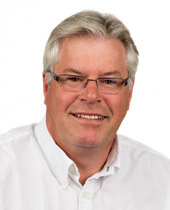 I bring a great wealth of knowledge gained from over 26 years experience in the real estate business, along with my lifetime experience of living in Muskoka. I am a fourth generation Muskokan, havng grown up on Lake Rosseau in my family resort business, Paignton House. I can meet your real estate needs. When you submit your personal details in order to receive information from us we collect and store that information. That information enables us to fulfil your information request. Information submitted via this web site will NOT be passed on to any other organization or used in any other manner whatsoever.